This week’s theme is my lame excuse to present a few pictures from our visit to West Africa many years ago. The round hut below belonged to an elder in a village in Guinea. This is an outdoor marketplace in Guinea where the goods are protected from the sun by the round umbrellas. As we rounded a corner on the road during one of our many outings in Guinea, we came upon this village with many round buildings. 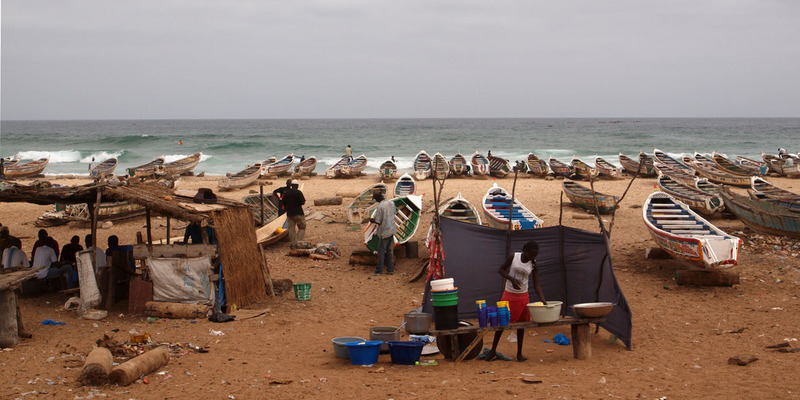 The fishing boats used by the fishermen along the coast of Senegal seemed to have somewhat rounded (rather than flat) bottoms. The Faidherbe bridge over the Senegal river in Saint-Louis connects two different parts of the city, one on the mainland and the other on an island on the Senegal river. This is a piece of art (temporary, it would seem) created out of colored sand in one of the shops on Goree Island just outside of Dakar. I thought the shell on this turtle that we saw at a wildlife sanctuary that we visited in Senegal was well rounded. What a fascinating post, so many references from the same place that suit the prompt. Nicely done!